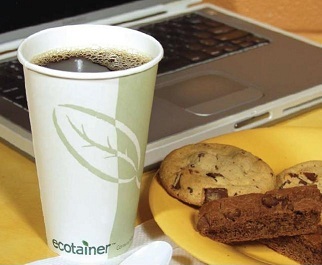 Ecotainer® paper hot cups from International Paper have a plant based inner coating that allows these cups to be compostable. 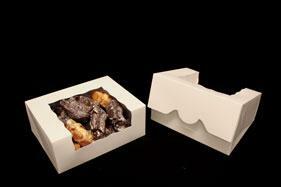 These cups come in 4 through 20 ounce sizes and are certified as biodegradable by the Biodegradable Products Institute. Features a "corn" based plastic coating allowing this cup to be compostable and is certified as biodegradable by the Biodegradable Products Institute. Show off your green-friendly style with the Planet+ Compostable Coffee Cup line. This wonderful line if paper coffee cups, is the perfect way to turn your coffee shop or business into the ultimate green business. 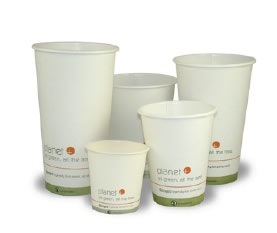 Go green with these fully compostable and biodegradable paper coffee cups!